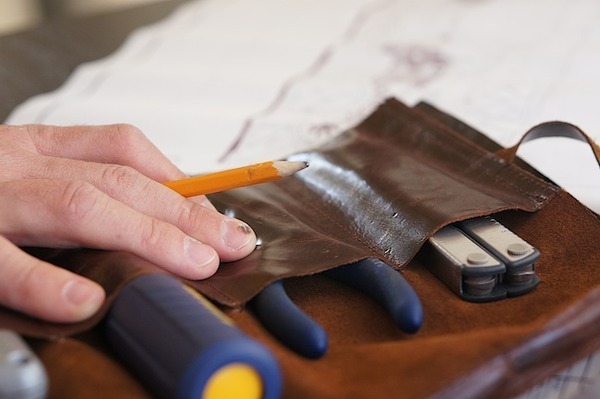 A few weeks back we talked about some of the basic, essential tools for getting started in leatherworking. Once you're set up, its time to put them into practice. Here are a few projects to hone those skills, and end up with some great practical pieces you can use everyday Each of these is a great starting place to help walk through the first steps of the hobby. 1. 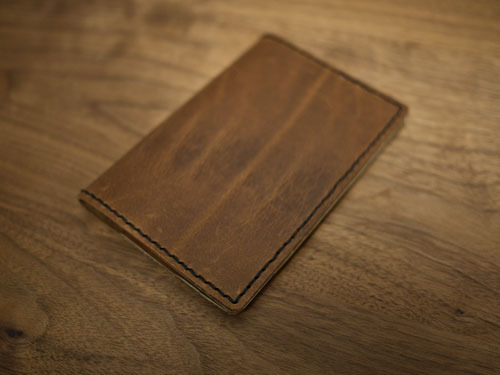 Hand-Sewn Passport Cover - I don't travel enough to make this something I need. However, the few times I pull out that passport I already feel like a jet-setting fool, so why not feel like it in style. This project uses leather glue, layout and cutting, and plenty of hand stitching. 2. 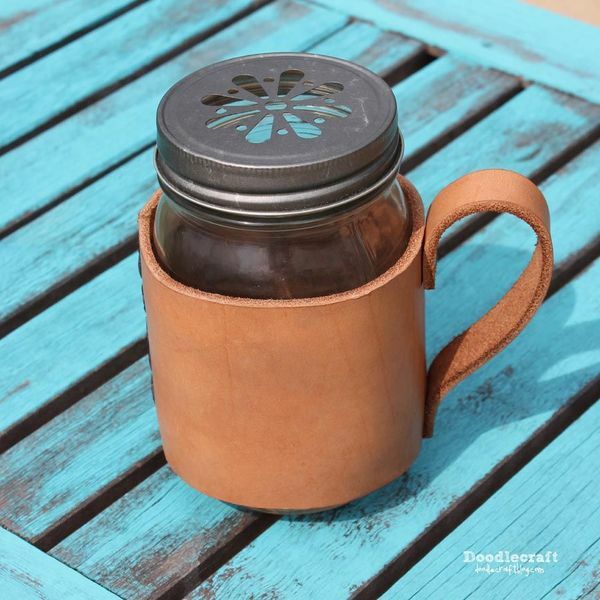 Mason Jar Mug Holder - I've got a few mugs in the cabinet that I really love. Thick walled and heavy duty, they are the perfect match to cold drinks on the patio. This project is a simple holder with handle to keep the liquid party colder longer. I love the crossed stitching and styled handle, so much potential for customizing each one. 3. 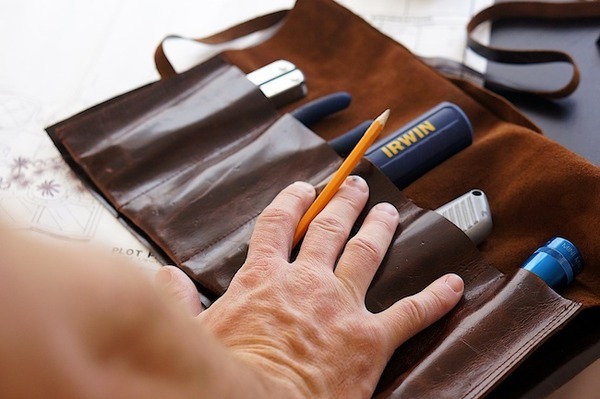 Leather Tool Roll-Up Case - We all have plenty of tools that need a home. This simple project adds in a sewing machine if you're so inclined, but hand stitching is still a respectable way to go. 4. 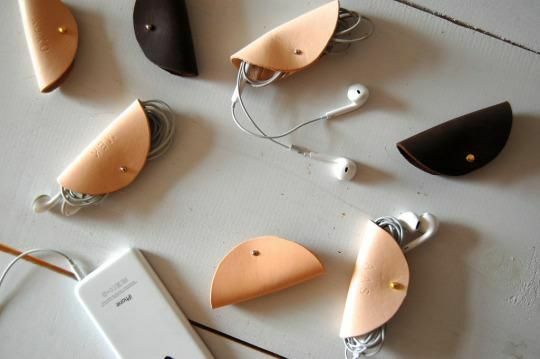 Leather Cord Wranglers - Keep your headphones, charging/syncing, and USB cables under control with this simple taco-style leather organizer. 5. 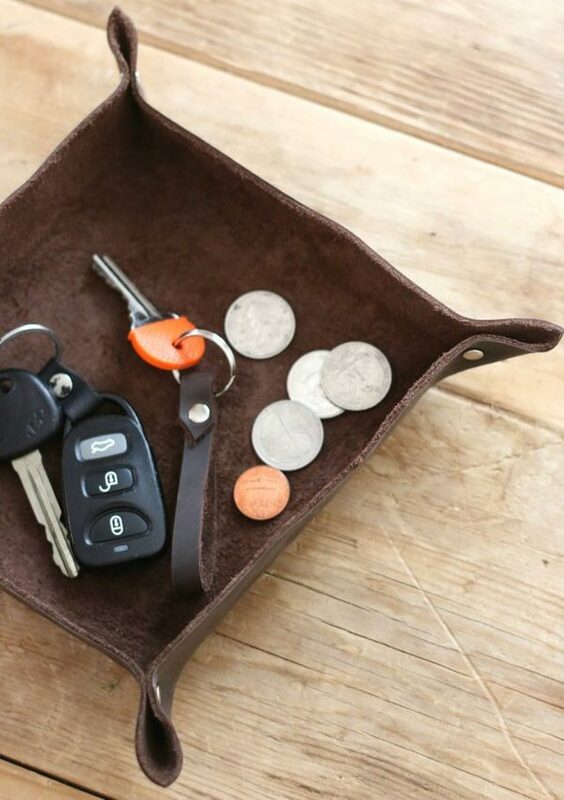 DIY Leather Valet Tray - Keep all your daily carry items in the same place each night in this simple but stylish catch-all tray. Looks great on your dresser, night stand, or hall table. Link to valet tray is broken. Great ideas!!! I'm an Accessories design student living in NYC, and I buy leathers from District Leathers. @ John, fixed! Thanks for the heads up! Link to the tool case is broken.